Click here to apply for the 2019 camp. 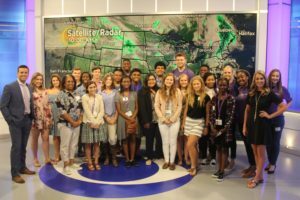 The journalism program at Texas Christian University is looking for high school students interested in an intensive college readiness program. TCU faculty introduce students to the fundamentals of digital reporting in a two-week residential program housed on the Fort Worth campus. They are guided by college students enrolled in the journalism program. Media professionals from Fort Worth and Dallas volunteer their time and come in to share their expertise and experiences with students. They talk about changes in media and discuss media careers with students. 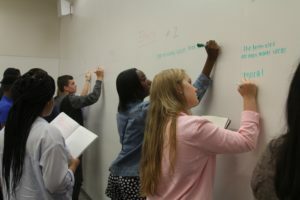 Students develop their critical thinking and writing skills while generating story ideas, which they then report and develop into news stories. They find sources on campus, perhaps at peer camps taking place at TCU or university departments such as the office of admission or the library. Students produce content for a newscast and write for a website. While in Fort Worth, students get to experience cultural attractions such as the Trinity Shakespeare Festival and the museum district. They also visit professional newsrooms.